Ideal to support large volumes of network cables, the cable trays provide smooth transitions around obstacles. Trays can be attached to floor, ceiling, wall or top of the racks and cabinets. Cable trays are available in different widths, heights and lengths. 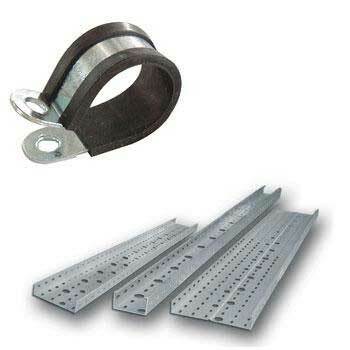 Cable trays available with us are of two types- ladder and perforated. Having formed extensive market Ladder Cable Trays are on high demand in electrical and construction industry. Put through the process of galvanization these cable trays ensure high tensile strength, corrosion free operation, and longer life. Besides, we make them available as per the customers demand and needs. All these qualities of our products have assisted us in setting a milestone in the marketplace as the legendary Cable Trays Manufacturer and one among the best Galvanized Cable Trays Suppliers from India.